Full service systems integration, commercial AV and home automation firm, serving the, entry level, mid-end, and high-end, custom home market with the best and most award winning systems available. At First Coast Audio Video Design, we combine the latest in home theater technology with vintage customer service. With 35 years of experience in the electronics business combined and the best brands in the industry, we are the company you need when it comes to audio and video systems. Our management has conducted business all over the Caribbean and Latin America, with professionals in the retail and wholesale experience in markets such as; Puerto Rico, Dominican Republic, Panama, Venezuela, Colombia, Brazil, Paraguay, Uruguay and Argentina. No job is too big or too small, too easy or complicated. Now that might sound like a cliché, but it is really what we are about. Perhaps your system has become outdated, or perhaps you simply need a tune up?. Have you been thinking of an upgrade or perhaps you’ve been told that it cannot be done? Give us a shot. We’ve been servicing our clients since 1999. Call us today for your free consultation, or contact us through our Houzz page if email if your preferred method of communication. First Coast Audio Video Design. Now Bigger. Brighter.Louder. 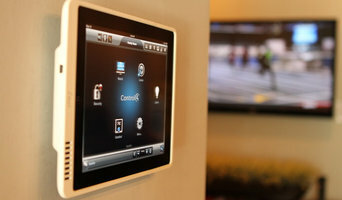 Custom audio, video, home automation systems design and installation provider. Servicing all of northeast and central Florida. New construction and renovation. Home Electronics Genius. High end consumer electronics sales and installations. I am here to make customers happy with their home electronic choices and designs. I have been in the industry for about 5 years and I absolutely love every second of it. We are a mid-market smart home automation and video surveillance company! Our goal is to make every home a Nerd Home, we try to convert every home into a Smart Home, affordable and quickly! Right here in Northeast Florida, 15 years ago, I founded Custom Sight & Sounds. Since 1992, I have spent many years working to perfect and expand my knowledge in the ever-changing Electronics Industry. As most consumers know, technology changes fast, so it is important to select an Audio Visual Company that will ensure you are properly informed when seeking out any type of electronics for your home, office and business. The Electronics Industry excites and challenges me. I am fortunate to have selected a career that provides services and products I am extremely passionate about. I have found that there is no bigger pleasure than seeing my clients’ faces light up when they see the possibilities that are available to them out there! It is my goal to take your visions and bring them to life! No matter how small or grand your ideas may be, selecting Custom Sight & Sounds can make it happen. From concept to completion you will find that the level of professionalism that my company provides is well above those of my competitors. Experience the finest selection of audio, video, and automation components from the world's most innovative manufacturers, all with our unparalleled service and best-in-class installers. In 1957, Hoyt Stereo opened its doors to the Jacksonville community with the promise to deliver the finest selection of audio and video components in conjunction with world-class customer service and support. Fast-forward 59 years and the Hoyt brand is stronger than ever, continuing to deliver on that promise and expanding its repertoire to include all manner of electronic control systems such as home automation, surveillance and security systems, and energy conservation through lighting, shade, and climate control. In the world of custom installations, no two jobs are alike. We set ourselves apart through the close working relationships we have with each and every client. Our clients place their trust in our experience and knowledge to create an immersive and dependable experience with the products that we install to simplify and thus improve their lives. Behrens Audio-Video has been serving Northeast Florida's home entertainment needs for more than 32 years. While other electronics retailers have come and gone, Behrens continues to provide its customers with high-quality audio and video systems along with full service and support. Make an appointment today to learn how the veteran staff at Behrens can design and install a home entertainment system that meets your budget and needs. 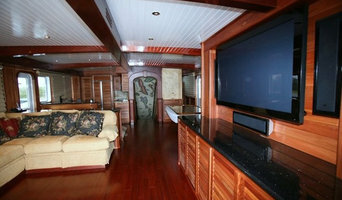 Our staff will take the time to get to know you and custom-design an audio-video system to fit your lifestyle. We are proud of the reputation we have built for unparalleled performance, seasoned experience, exceptional customer service and unwavering integrity. We'll show you why so many loyal Behrens customers keep coming back to us for all their A-V needs. We focus on wings. Electronics change every single day. Our main goal is to give all of our clients wings so that they can fly. We do this by filming crazy amounts of videos and tutorials and updating via email. Knowledge is power! Unified home technology consulting service for modern homes. Systems ranging from basic home network to full Smart Home integration. Adeptus can help provide you everything from your basic needs to your wildest dreams. Whole home Surveillance with remote access via Cell phone, Shade and Lighting Control, Remote Security Access, High Powered Wi-fi for large homes, the sky is the limit. Let us be your Technology Consultant and forget worrying about how it works and begin enjoying that it works. Please call for more information. *Systems Requiring Electrical Wiring will require an Electrical Contractor. Find a home media designer on Houzz. 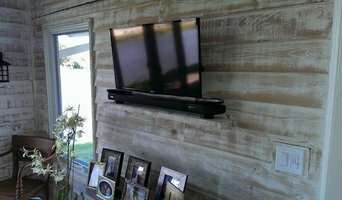 Narrow your search in the Professionals section of the website to Jacksonville, FL home media designers. You can also look through Jacksonville, FL photos by style to find a room you like, then contact the professional who designed it.